Big Tech has declared total war on Alex Jones and free speech just three months before the midterms. Disqus banned Infowars, Prison Planet, Infowars Europe, Newswars and Alex Jones's entire network of websites from using their comment system on Tuesday night. Disqus sent Alex Jones a vague message saying they banned him for being "in violation" of their terms of service. 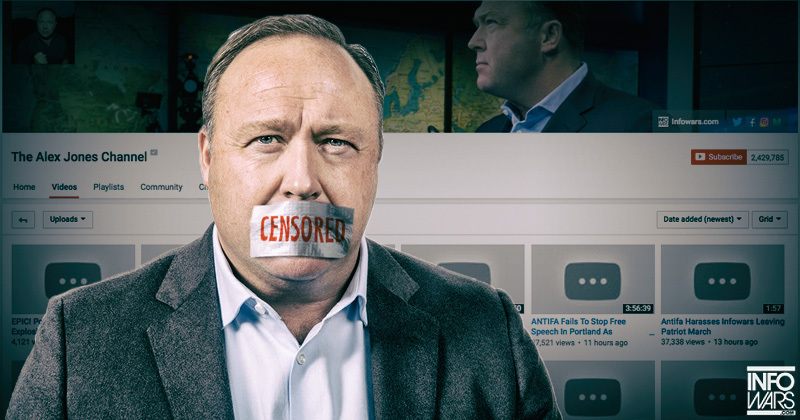 Jones has now been censored by Apple, Google, Facebook, Spotify, MailChimp and Microsoft's LinkedIn, with the majority saying they banned him for his speech, which they call "hate." The Democrats' plan for internet censorship leaked last week and it showed they wanted to effectively eliminate all anonymity on the internet and make it extremely difficult for Big Tech sites to make a profit.